Established in 1973 under the name of Holiday Upholstery and Awnings and located in San Jacinto, California we manufactured boat covers, boat and street rod upholstery and free standing awnings. 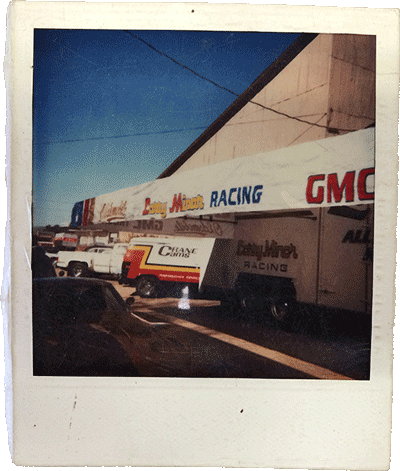 We created our first race transporter awning in 1977 for NHRA drag racer, Larry Minor. As demand increased we moved away from the upholstery business and decided to focus our time to designing and creating the best awnings for the Motorsports Industry. In 1989 we relocated to Lake Havasu City, Arizona and changed our name to Holiday Motorsports Awnings. Today we continue building solid relationships and strive to provide the best products and service for our customers just as we have since the beginning. Copyright © 1973-2019 Holiday Industries LLC.